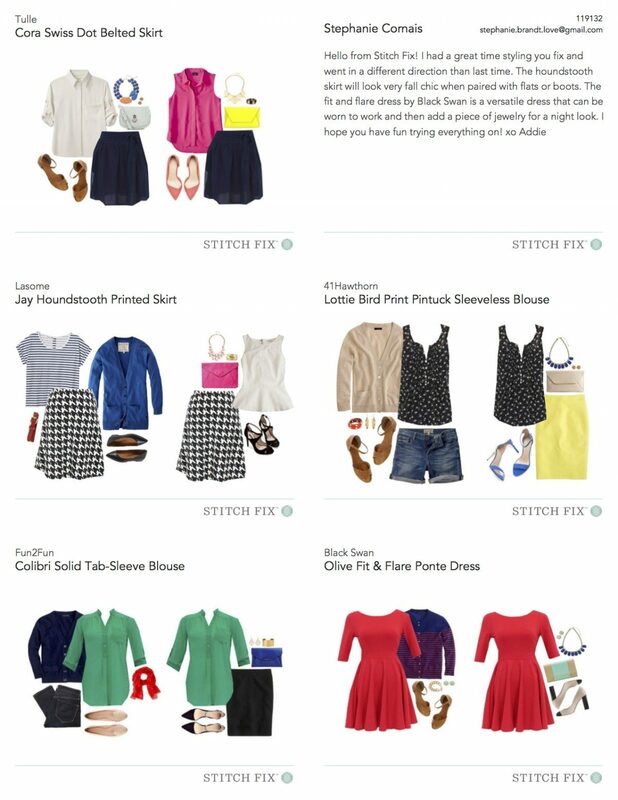 I am such a HUGE fan of Stitch Fix. Words really cannot even describe how much I love this company. When they first launched, I was one of the first in line waiting for my fix. It was like the night before Christmas. Then my fix came and it was justlike Christmas. I have gotten several boxes since then, whenever I can afford them or whenever I have enough credit saved up and it never gets less exciting. 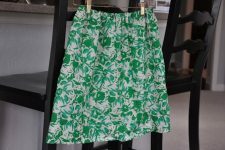 Stitch Fix struck a cord with me. The only happy memories I have of shopping as a girl was with my Grandma, my father’s mother. She would take me Back to School shopping every year at the commissary on Homestead Air Force Base. I looked forward to that shopping day all year. She let me get whatever I wanted and marveled at how decisive I was. I always knew exactly what I wanted to wear. Most importantly, it was time spent together. She actually cared about me and bought me those Back to School clothes as way to show me love. What I loved most about being around my Grandma is that she gave me her full presence and she let my light shine bright. 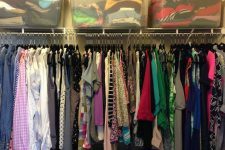 As an adult, I have often tried to recreate that memory through buying clothes for myself, trying to tap into the love I felt from my Grandmother on those trips, but it always fell short. Shopping can be a way to numb emotions and pain, but sometimes you just need to be pampered, nourished, and have someone else give you attention. It’s one of the reasons I like going to therapy or getting a massage, even though I am paying for it, it is someone nurturing me. This is something I really try hard to do with my clients – everyone needs that motherly, feminine, nurturing energy, and those us who got the short end of the stick in the mothering department have to consciously go out and seek it. 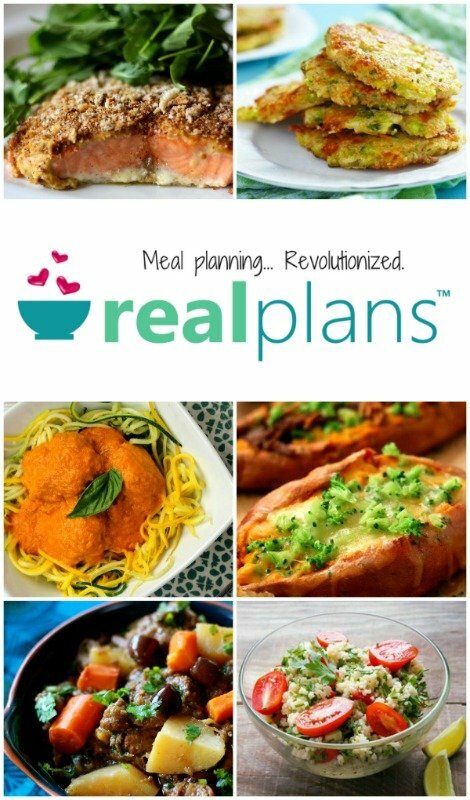 And when you do it consciously (and stick to a budget), instead of blindly, numbly shopping, I think it is a really healthy way to take care of your own needs. Try to notice how you are feeling right before you have the urge to shop or while you are shopping and even after you shop. Once I started paying attention, I noticed patterns of shopping when I was stressed, lonely, and feeling like I wasn’t good enough. It’s been a long road to realize that buying things are not gonna make me feel better, but also that not everything is black or white, shopping doesn’t need to be cut off forever, it is not “bad.” Shopping to numb pain is not so good, but if you pay really close attention to your shopping habits, shopping can for sure be a healthy form of self care. So, long story short, I felt taken care of by Stitch Fix. I felt paid attention to. I felt heard and I felt seen. And I felt like I was allowed to let my light shine bright. I loved being able to go into great detail about what I thought my style was and what I was interested in experimenting with in regards to my style. To talk about the parts of my body I don’t like to draw attention to and the lifestyle I lead. I loved that I got a personalized note with a handwritten signature. And that I could message my stylist after I got my fix to tell her what I did and didn’t like to take note for the next fix. So with Back to School shopping happening now, remember that for some people receiving gifts is their love language and new clothes might be a really big deal to your kid. 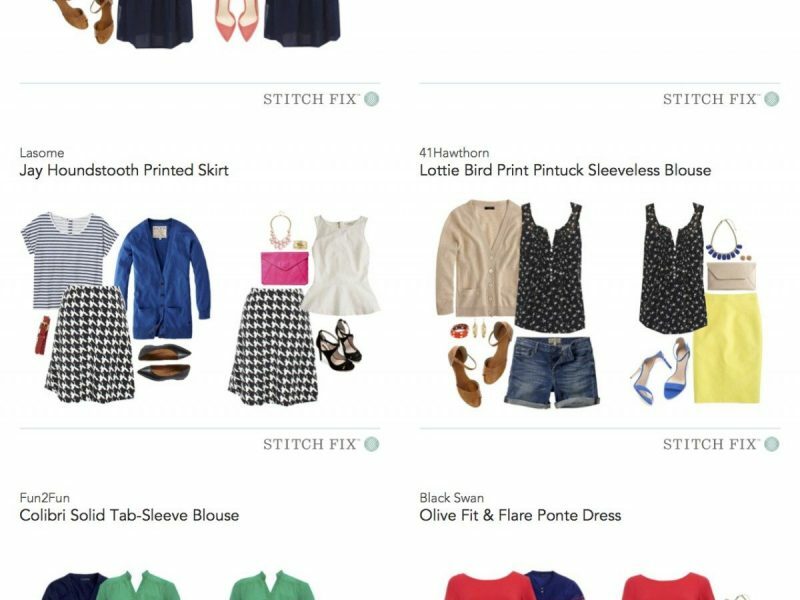 If you want nurture yourself with a little attention and pampering, sign up here to give Stitch Fix a try. You won’t pay for a thing unless you love it. Below are some of the fixes I have gotten in the last two years, so you can get a visual of what kind things you can get. Although, yours would be different based on what kind of style you say you want. I keep these cards handy in my closet to give me inspiration and confidence when choosing outfits. 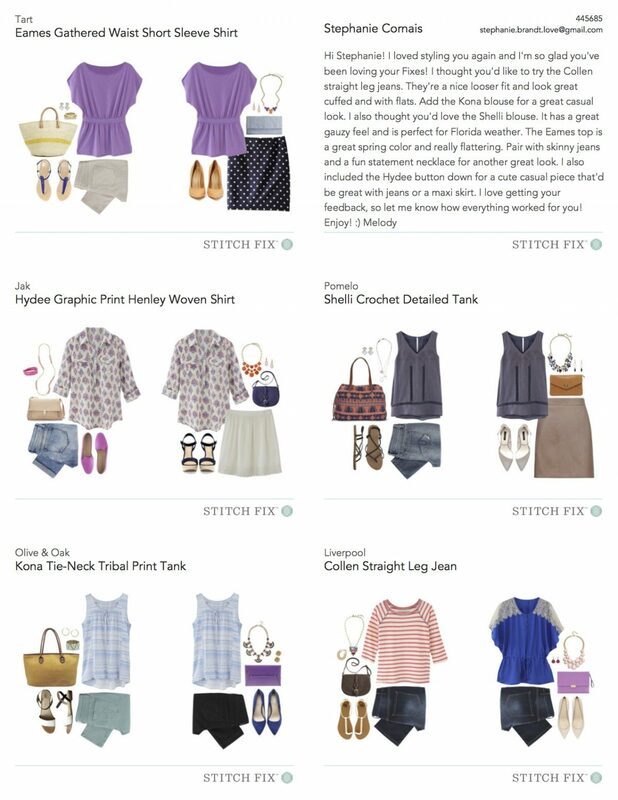 So if you have some extra room in the family budget this Back to School season, give yourself a little style makeover with Stitch Fix! You are so welcome Nicole. Thanks so much for reading and commmenting. Sharing my stories and putting myself out there is so hard and it means a lot to me to know it’s worth it, that someone else may find comfort in my words. Lots of love to you.